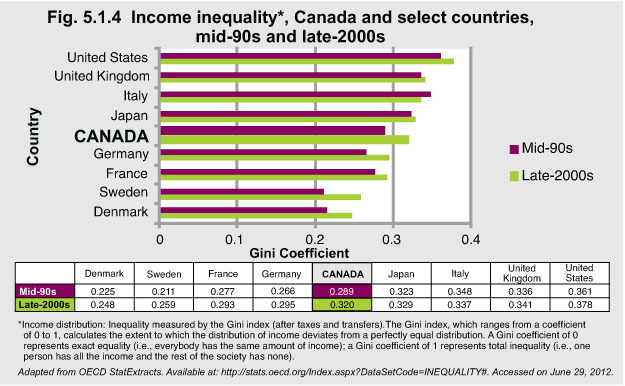 Between the mid-1990s and the late 2000s, the Gini coefficient for all G8 countries increased. This trend demonstrates a growing gap between the rich and the poor. 2Mitchell P. (2012). Institute of Marriage and Family Canada. “Marriage and Poverty in Canada.” Available at: http://www.imfcanada.org/sites/default/files/ereview_September28_12_0.pdf -accessed on June 29, 2012.